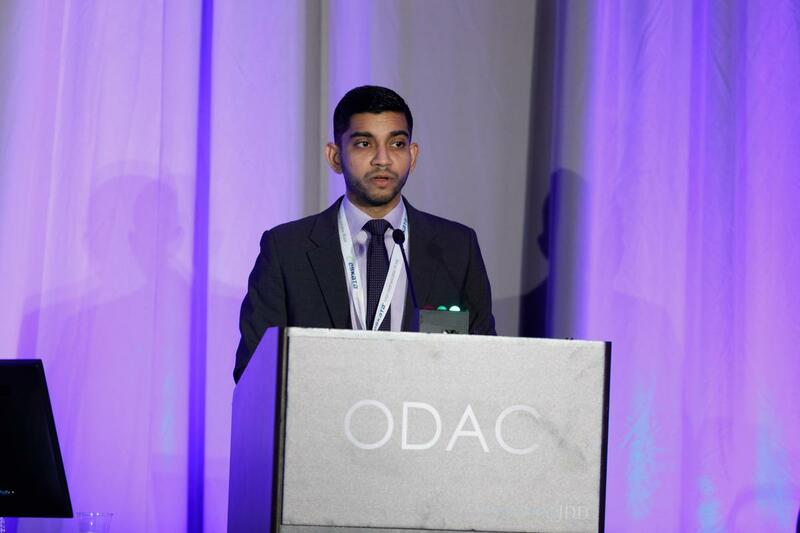 In a 20-minute lecture presented at the 16th Annual ODAC conference, Dr. Patel reviewed the appropriate management of actinic keratoses and squamous cell carcinoma. Grabbing the attention of the audience early on, Dr. Patel quoted the staggering statistics for squamous cell carcinoma – calling the growing epidemic “a public health crisis.” He challenged dermatologists to lead the charge in a more sophisticated approach to disease stratification. Data are conflicting regarding the risk of progression of actinic keratoses to squamous cell carcinoma. Despite Dr. Patel’s expertise, he admitted even he finds it impossible to predict which lesions will progress. Instead, he takes a more astute approach and taking a step back to focus on the burden of disease. Twenty is the magic number – over 20 actinic keratoses increase the risk of squamous cell carcinoma. With the groundwork firmly laid, Dr. Patel delved into the crux of his talk. He posed a thought-provoking question to captivated listeners: Are actinic keratoses a disease or a symptom? In the same way hypertension leads to stroke, actinic keratoses lead to squamous cell carcinoma. Actinic keratoses are a field disease, as such we should focus on field treatment. Dr. Patel drove his point home with several instructive clinical cases. With each patient, Dr. Patel calls dermatologists to first discern field disease from invasive disease. Once invasive disease has been excluded, hyperkeratotic lesions should be debrided, and a strict regimen of topical 5-fluorouracil instituted for 4 weeks. This regimen should be followed by photodynamic therapy in 3 months. Of note, Dr. Patel warns against cryotherapy – raising the concern for potentially burying the lesion under a scar, thus compromising further treatment and diagnosis. We should think twice before reaching for the cryo – a therapeutic option considered reflexive to many dermatologists. Document and measure the size of the lesions concerning for squamous cell at the time of biopsy – this is key for prognostication. Pathologists should be encouraged to report perineural invasion and tumor differentiation, as these are key prognostic factors. Stage T2A disease is low risk, specifically a 2% risk of nodal metastases and a 1% risk of death. Stage T2B and T3 are “those we really worry about.” Patel advises dermatologists to aggressively follow and manage these patients and consider referral to tertiary cancer centers. In 20 minutes, Dr. Patel gave an enlightening talk on actinic keratoses and squamous cell carcinoma – shaking up the way we conceptualize and manage what most consider bread and butter in dermatology. This information was presented by Dr. Vishal Patel at the 16th Annual ODAC Dermatology, Aesthetics and Surgical Conference held January 18th-21st, 2019 in Orlando, FL. The above highlights from his lecture were written and compiled by Dr. Ramone Faith Williams. Dr. Williams was one of the 5 residents selected to participate in the Sun Resident Career Mentorship Program (a program supported by an educational grant from Sun Pharmaceutical Industries, Inc.). Dr. Williams is the academic chief resident in dermatology at Albert Einstein/Montefiore.